During his prolific 60-year career, choreographer Merce Cunningham (1919–2009) revolutionized dance by challenging every aspect of the form, and in the process inventing wholly new ways to create and present his work. Perhaps most radical was his idea that all the elements of a dance—movement, music, costumes, and décor—could be created independently of one another, coming together only during the “common time” of a performance. Anticipating the celebration of Cunningham’s centennial, this exhibition presents two large works made by artists associated with the choreographer’s company—Andy Warhol’s Silver Clouds and Charles Atlas’s MC9. Warhol’s whimsical Silver Clouds was used as décor for Cunningham’s 1968 dance RainForest. MC9, short for “Merce Cunningham to the ninth power,” is an immersive installation with excerpts from 21 dances for camera and documentary videos Atlas made with Cunningham. 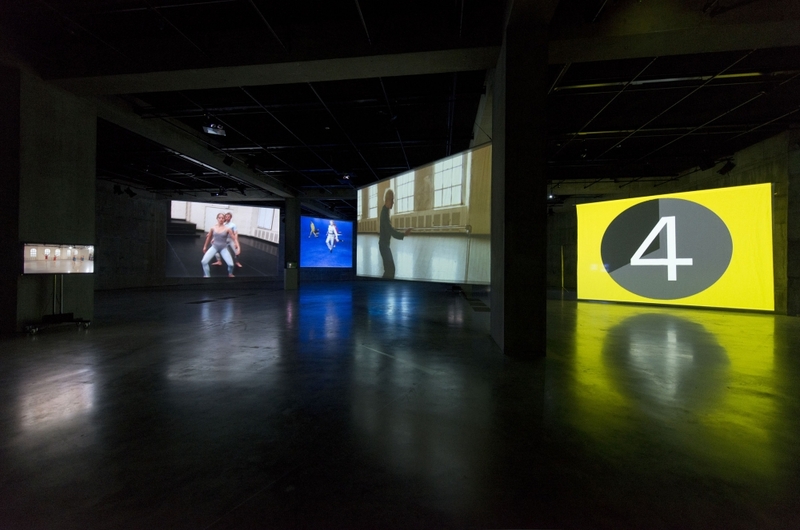 Two videos documenting early Cunningham dances are screened in an adjacent gallery: Changeling (1958), a solo piece, and Night Wandering (1964), a duet with star dancer Carolyn Brown.